Millions of euros rain down on starred restaurants. In Italy, there are 343 restaurants that can proudly showcase the prestigious Michelin Guide medal. This group is increasingly made up of chef entrepreneurs who, in the last year, according to the tourism consulting firm Jfc, brought in overall sales of 259 million euros. On average, a star is worth 708,247 in sales, and two stars takes that number to 1,124,604 euros while three stars is equivalent to 1,540,000 euros. Who are the chef entrepreneurs behind these numbers with the highest turnover? Foodcommunity.it gathered official data from Infocamere and Cerved (as well as estimates based on statements made by these chefs during interviews with MAG) on the balance sheets from companies owned by Italian chefs. We compared their revenues to understand who the true “lords” of Italian cuisine are in terms of economics. Most data comes from the year 2015, which was the latest information available in the databases consulted. In first place, there’s the Da Vittorio Srl company (linked to the Michelin three-star restaurant of the same name) owned by the Cerea family and located in Brusaporto near Bergamo, Italy. What stands out about the Cerea family’s business is how diversified it is. The family owns La Dimora, the Cantalupa banquet business, the Cavour café and pastry shop located in Bergamo Alta and the Vi.co.ok catering business (created in 2008), which operates all over the world, in cities like Hong Kong, New York, Paris and Abu Dhabi. The catering operation also offers food services in schools, hospitals and public buildings. Abroad, the Cerea family has the Da Vittorio St.Moritz restaurant in the Carlton Hotel, and the company is planning its launch in China by 2018—specifically, inside the Palazzo Versace in Macau. The Bergamo-based family has increased its revenues via other important outside consulting ventures, a cooking school and books. In May, brothers Enrico, Roberto and Francesco Cerea planned the dinner held for former U.S. President Barack Obama in Milan. The Alajmo Spa (named for the Alajmo family from the Veneto region) is in second place. Brothers Raffaele and Massimiliano lead the company, worth 11.2 million euros in sales (with growth in 2016 as reported in issue 75 of MAG). The group has ten different locations. The three-star Le Calandre restaurant, the Il Calandrino bistro, and the gourmet food shop In.Gredienti are located in Sarmeola di Rubano (near Padua). Then there are the La Montecchia restaurant and the ABC Montecchia bistro in Selvazzano (also near Padua) as well as the Quadri restaurant, ABC Quadri bistro, Gran Caffè Quadri and Amo in Venice. The group also has the Caffè Stern in Paris. Since 2010, the Alajmo company has been involved with the Venice private equity fund controlled by Palladio Finanziaria, which has a 25% stake in the company. The restaurant business makes up about 70% of the company’s affairs (Le Calandre alone invoices almost 2 million). Over the years, three main businesses have been developed with the Alajmo name, including publishing ventures, design initiatives, catering for events and the sale of food products. Other starred chefs are slightly further down the list on the financial front. Some own their own businesses while others have shares in companies with partners. Carlo Cracco, for example, has Cracco Investimenti (a consulting business worth 1,229,674 euros), the Carlo e Camilla restaurant (2,301,038 euros) and Hugo 4 Srl (3,963,911 euros) for overall revenue of 7.5 million euros. In his orbit, the former MasterChef judge, who has also lent his face and name to various advertisements, has the Cracco restaurant in Milan (which will move from Via Hugo to Galleria Vittorio Emanuele in the fall of 2017), the Carlo e Camilla in Segheria bar and restaurant and the Ovo restaurant inside the five-star Lotte hotel in Moscow (his first venture abroad). 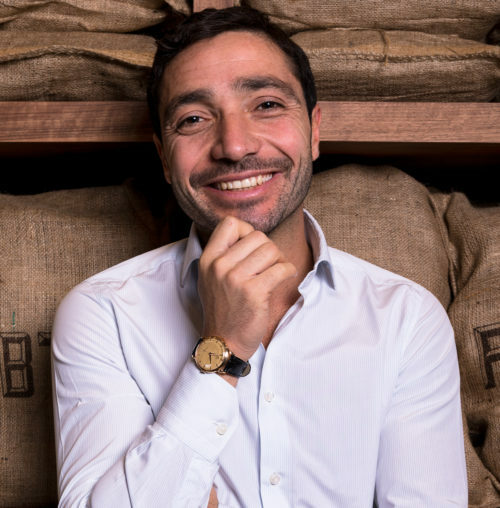 Chef Giancarlo Perbellini (owner of the Colori di Cuoco company) manages six businesses as well as a hotel in Verona, a restaurant in Venice and a restaurant in Hong Kong. Casa Perbellini, his two-star restaurant that opened in 2014 in Verona, has revenues of 1.3 million euros on its own. He also has Locanda 4 Cuochi, the seafood restaurant Al Capitan della Cittadella, the Du De Cope pizzeria, the Dolce Locanda pastry shop, the Tapasotto tapas bar and a small hotel called Cinque (with turnover of about 6 million euros). In Venice, Perbellini is in charge of the menu of the Dopolavoro restaurant inside the JW Marriot Venice Resort on the Isola delle Rose. In Hong Kong, he runs La Locanda by Giancarlo Perbellini in partnership with the Dining Concepts group. According to Infocamere data, Antonino Cannavacciuolo’s Ca.pri company, which manages the Villa Crespi restaurant/hotel in Orta San Giulio near Novara, has turnover of 5.2 million euros. The MasterChef and Hell’s Kitchen judge and cookbook author has also founded Cannavacciuolo Consulting (with turnover of 152,000 euros) to manage new projects in the tourism, hotel and restaurant industries. He has also opened a new bistro in Turin and the Cannavacciuolo Bakery in Novara where he already had his Cafè & Bistrot. Massimo Bottura’s La Francescana has turnover of 4,421,676 euros (information from 2014 as 2015’s data is not yet available) while his La Franceschetta business for frozen and prepared foods has a production value of 474,951 euros. The previously no. 1 chef in the world, along with his wife Lara Gilmore, is very active with his Food for Soul non-profit association and his Refettorio charity project, which is soon to launch in London and the United States. Chef Andrea Berton is a partner in Solferino48 (along with architect Tiziano Vudafieri, lawyer and sommelier Diego Rigatti and executive project director Giovanni Fiorin), which runs the Pisacco bistro and the Dry bar in Milan. Dry has recently added a second location in Milan. Solferino48 has turnover of 3.6 million while Berton’s starred restaurant is owned by Ambrosia Srl, with turnover of 1.8 million, making the overall total 5.4 million. Niko Romito, the chef of the three-star restaurant Reale in Castel di Sangro, Italy, has R.R., Spazio (turnover of 2.7 million euros) and Niko Romito Formazione e Consulenza (940,000 euros). The chef from Abruzzo is also working on taking his Spazio project international. This is a restaurant/food laboratory where he employs young people from the Niko Romito Formazione school. He is also working on the IN-Intelligenza Nutrizionale non-profit project, which aims to revolutionize food service in hospitals. Enrico Bartolini, the chef of the gourmet restaurant at the Mudec museum in Milan, has turnover of 2.7 million via the company named for him (that he runs as sole director). This company includes smaller segments like B.Lab (that manages Andana in Tuscany), San Vigilio Food (for the Casual business in Bergamo) and Be Contemporary (for consulting and projects abroad). However, it should be pointed out that this data comes from 2015. Considering that Bartolini opened most of these businesses in 2016, his turnover is sure to increase. 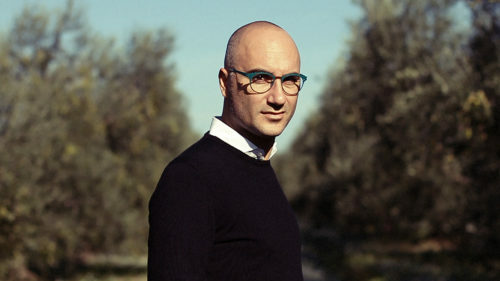 In addition to his various businesses in Milan, Bergamo, Castiglione della Pescaia and Venice, Bartolini also works abroad with Dining Concepts in Hong Kong and Skelmore Hospitality in Dubai and Abu Dhabi. Moreno Cedroni rounds out the top 10 with turnover of about 2.6 million euros with his three restaurants in the Marche region: La Madonnina del Pescatore, Il Clandestino Susci Bar and the Anikò fish delicatessen. In addition to being a chef, Cedroni has various related projects: he is a judge on Top Chef Italia, writes books and does corporate consulting and catering. There are other important names from the Italian restaurant world outside the top 10. The “master” of Italian cuisine, Gualtiero Marchesi, has a variety of businesses—La Marchesiana (159,000 euros), Marchesi Milano (1.9 million euros) and the Accademia Gualtiero Marchesi (515,000 euros) for a total of 2.5 million euros. The Gruppo Gualtiero Marchesi has plans to expand internationally by opening restaurants abroad. The objective is to further promote the Marchesi brand. The first step in this direction was the opening of the Club39 in Monte Carlo and, according to information foodcommunity.it has obtained, the chef has a project in the works that involves cities like Miami, Hong Kong, Abu Dhabi and Dubai. Lavazza as well as for hotels and restaurants. He was also one of the creators of “The vegetarian chance,” an international competition for chefs. Cristina Bowerman is the chef behind Glass Hostaria, a starred restaurant in the heart of Rome’s Trastevere neighborhood. She is in business with her life partner Fabio Spada, and their company Glass restaurant Srl has turnover of 1 million euros. In 2017, Bowerman opened her new business Romeo Chef & Baker and began consulting for Autogrill (for the Assaggio Taste of Wine restaurant in the new terminal at Fiumicino airport) and at Rome’s Maxxi so that gourmet foods can be offered at the museum. Chef Heinz Beck of La Pergola in Rome manages restaurants throughout the world, from Portugal to Japan, but the only information available was from his Beck & Maltese Consulting firm, which has turnover of 564,938 euros. Bruno Barbieri’s Bru and co has production value of 299,500 euros. The chef behind Fourghetti in Bologna (who is also a MasterChef judge) is also a shareholder in the family’s F.i.r. 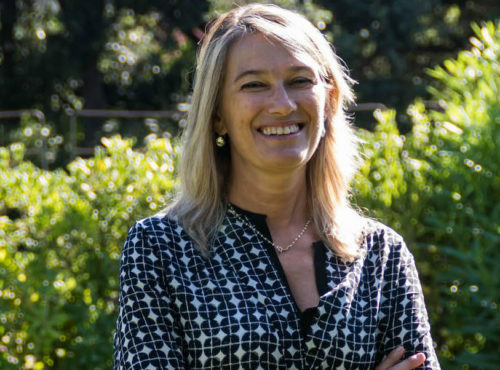 holding company and is the sole director of the Maranello Wines cooperative. Some companies linked to chefs and starred restaurants (like Piazza Duomo in Alba, Dal Pescatore in Canneto sull’Oglio, Enoteca Pinchiorri in Florence and D’O in Cornaredo) are not obligated to report their balance-sheet numbers. In fact, as Infocamere explains, limited-partnership companies (called Sas in Italy) are not required to report their numbers to the Chamber of Commerce. Finally, there are other important restaurants inside hotels (like Seta inside the Mandarin Oriental in Milan and La Pergola inside Rome Cavalieri) so it isn’t possible to separate the restaurant revenues from those of the property.